Andy Miller’s superb solo goal five minutes before half-time earned Deal their first win of the season on Saturday. And although Miller’s strike stood out in a match which was otherwise short of memorable attacking moments, that did nothing to lessen the understandable satisfaction felt afterwards by Hoops manager Derek Hares who said: “I thought the lads all worked hard from one to 11 and restricted Canterbury to only a few good chances. After having won 4-1 at Whitstable in their previous game Canterbury had every reason to be confident of following up their “double” success over Deal of last season, and City skipper Dan Lawrence wasted a good opportunity to put his side in front with just eight minutes gone. That however proved to be the only clear cut chance of a scrappy opening half hour during which both teams struggled to string together any decent passing movements, and when Canterbury squandered another opportunity from a 35th-minute corner, with centre-half Ben Gorham volleying over from eight yards, the tide began to turn in Deal’s favour. They took the lead five minutes later when, after breaking up a City attack, the ball was cleared to Miller on the halfway line and, despite being surrounded by four Canterbury players, the striker used his natural pace to sprint clear on a 40-yard run before carefully placing the ball past City keeper Daren Hawkes. It was just the lift the Hoops needed heading into half-time and they went on to create what genuine chances there were in the second half with Joe Anderson, Connor Coyne, Dean Hill and Charlie Walsh all going close while at the other end Hoops keeper Chris Waymark was mostly concerned with dealing with the occasional City corner. And Canterbury’s frustrating afternoon was rounded off two minutes from time when they were reduced to 10 men. Jordan Casey, who had come on as a substitute only a few minutes earlier, was shown a straight red card by referee Kirsty Dowle for raising his arm towards Grant Bagley after being pushed by the Deal defender, who was yellow carded for his part in the incident. Deal: Waymark, Paxman, Bagley, Hill, O’Brien, Reeves, Bigginton, Anderson, Walsh, Miller, C Coyne. 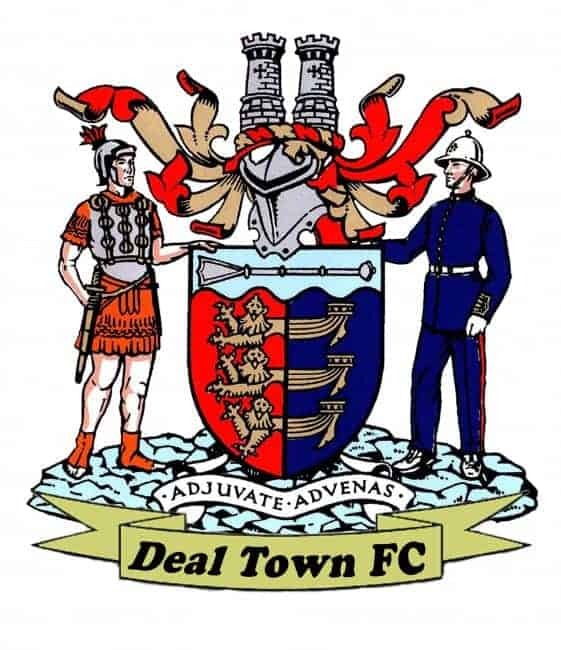 Deal Town Reserves lost 2-0 at Cuxton 91 in the Kent County League Division 2 Central & East.